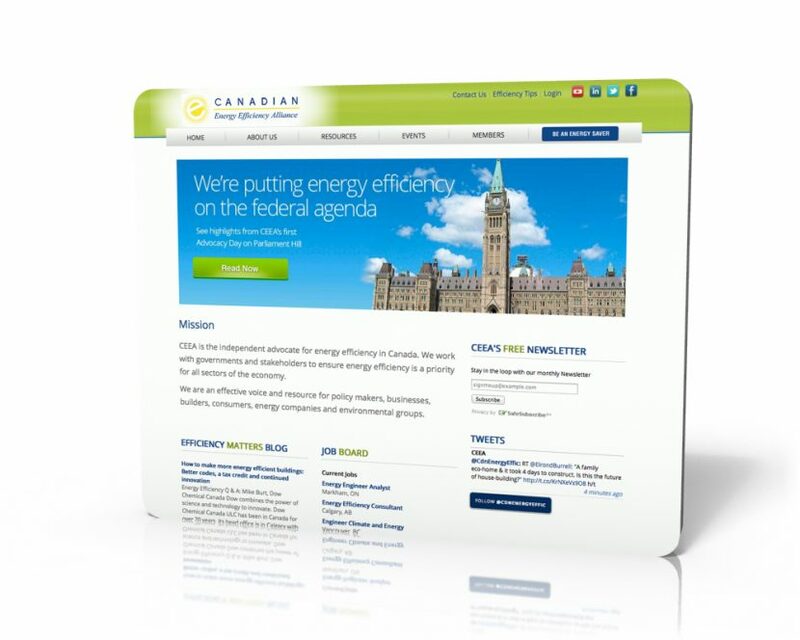 The Canadian Energy Efficiency Alliance (CEEA) is Canada’s leading independent advocate promoting the economic and environmental benefits of energy efficiency. The Ottawa based not-for-profit works with both the Federal and Provincial governments, and stakeholders, to ensure energy efficiency is a priority for all sectors of the economy. We were brought in after they had their basic design formatted by another company. We re-coded the site and now the site features live integration with their very active LinkedIn group, a constantly updated job board, educational program listings from Universities, Colleges and private training partners, Twitter feeds and integration with 3rd party service providers like Constant Contact. The client easily updates and maintains content on the site via a web-based interface.